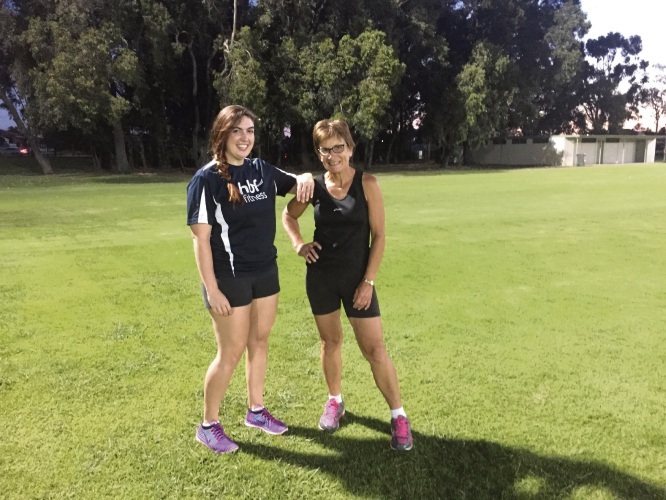 HBF Fitness Instructor Chantelle Hockey and Bayswater resident Audrey Tuckey. BAYSWATER runner Audrey Tuckey is urging more people to join a fitness program, in a bid to make a “conscious” effort to keep a healthy lifestyle. Ms Tucker has joined HBF Fitness’ eight-week program held at Houghton Park in Bayswater. The program caters for beginners, intermediate and advanced fitness levels and is free for HBF members, with a small fee for non members. “I was inspired to join the HBF Fitness program as I wanted to encourage my husband and son to be more active,” she said. Ms Tucker said she used the sessions to regain strength and fitness after having shoulder surgery last year. “The program, which incorporates core, strength, endurance and cardio gives me a full workout whilst also helping with my recovery,” she said. HBF Fitness is held on every Wednesday at Houghton Park, Bayswater at 5.30pm and every Saturday at Des Penman Reserve, Nollamara at 7.30am. For more information, visit https://www.hbffitness.com.au.